I’m not sure what took me so long to finally see The Truman Show. Maybe it was because I thought it would be too similar to Edtv, a likeminded film I remember seeing around that time period (though now I honestly don’t remember much about it). Perhaps it was because I had reservations about Jim Carrey in this type of role. Whatever the case, I am glad that I included this in my new project and finally seeked it out. Jim Carrey stars as Truman Burbank, a man who is unknowingly under surveillance 24/7, the star of a TV show he knows nothing about. He has been filmed since the day he was born, set up in an artificial world built under the watchful eye of its creator, Christof (Ed Harris). The life designed for Truman is not unlike what you would find in Suburbia, U.S.A.: he has a loving wife, Meryl (Laura Linney), a stable desk job, and a best friend (Noah Emmerich) to drink beer with. Every detail has been thought out, and a large number of viewers watch his show every day. Things begin to go awry when Truman suspects something is off with the town he lives in. Strange happenings occur on the 30th year of the show. A falling spotlight from the artificial constellation above nearly hits him on his way to work. Later, his car radio picks up a strange feed from the show’s crew, and Truman hears them describing his actions in real time. The kicker, however, is when Truman sees his allegedly dead father on the street dressed as a homeless man. Before he gets the chance to talk with his “father”, the man is whisked away on a bus by the powers to be. Now questioning just what the hell is going on, Truman becomes determined to leave his town and see what life is like outside of Seahaven. The story sets itself up as a drama, but also as a sneaky satire that lends way to some amusing moments. There are several funny jabs at in-show advertising. Characters make sure to show product logos at all times, and occasionally make the sales pitch to go along with them. Even Truman’s wife is in on the act. Jim Carrey was given a chance to show off his dramatic acting chops in this movie, and he passes the test with flying colors. Right from the start, Truman is easily likable as Carrey injects his natural charisma into the character without going overboard. He still has his funny moments, but they are much more subdued (when compared to, say, The Mask or Ace Ventura). I was also impressed with the rest of the cast, a laundry list of strong names that add quite a bit to the film even in small roles. Laura Linney and Ed Harris are terrific, but the pleasant surprises of seeing Natascha McElhone (as Truman’s forbidden love interest), Paul Giamatti (a control room director) and Peter Krause (Truman’s boss at work), among others, were great as well. 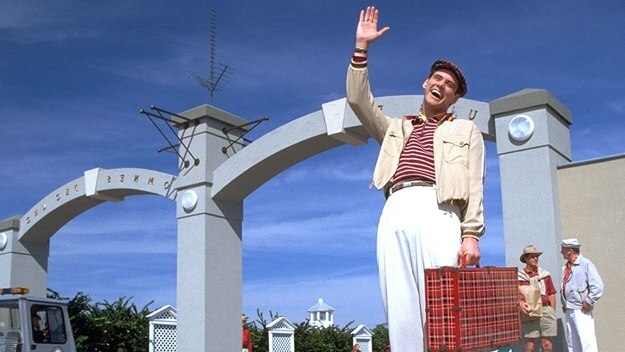 In a way, The Truman Show was a bit of foreshadowing for something that would happen the year after its release: the debut of CBS’s voyeuristic TV show, Big Brother. Looking back now, the movie is even more relevant today with the unfortunate rise in popularity of these so-called “reality TV” shows. Hell, the film even has its own psychological delusion titled “The Truman Show Syndrome“. 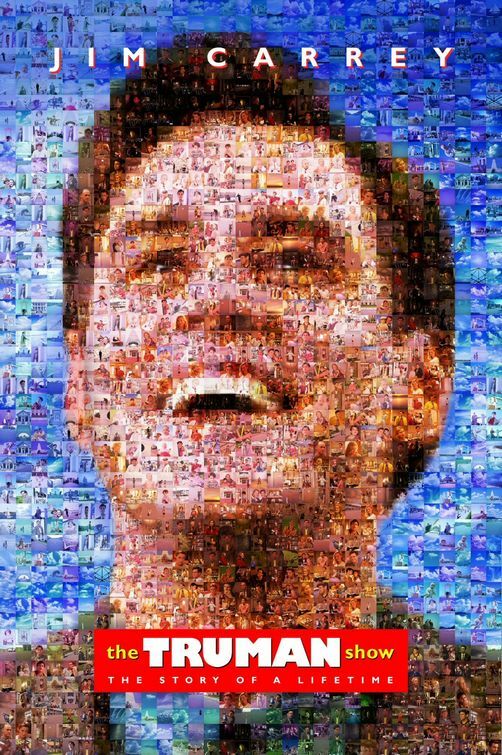 I quite enjoyed The Truman Show, and I am happy that I saw it for the first time in 2012 with several years perspective. It’s not a perfect film — there are some ideas that I would have loved to have seen elaborated — but its sharp satire and strong cast really hit the spot for me. I love this film. Especially all that stuff with Linney and the product placement! And the ending’s fantastic. Truman would now walk out of his world and see all the CCTV everywhere and still think he was being watched by the world! Haha yeah, the ending really is great, and the product placement cracked me up every time. Glad to hear you are a fan, Pete. Agrre with everything you said, BTW. Love this series. It’s going to find a place on my Lammy ballot for sure. Thanks buddy, I really appreciate that! I dig your MTESS series quite a bit as well. I think The Truman Show could be a good fit, especially given how prophetic it ended up being. Adore this film. I miss this Jim Carrey. What’s happened to the guy? Good question. I would love to see him take on more projects like this, but he seems content to do mindless fodder like Mr. Popper’s Penguins. This is one of my favorite films. I’d give it my highest rating, quite honestly. I remember Pleasantville came out around the same time and being so blown away by both films. On the outside, they don’t look at that compelling. It’s as if you can guess the plots of both films just by looking at the cover or trailer. But when you watch them, they are so much more layered than you ever imagined. Phenomenal scripts and direction. I thought Jim Carrey gave one of his best performances here. Jaina – Carrey continues to impress with Eternal Sunshine and I Love You Phillip Morris. As far as I’m concerned, this great actor hasn’t gone anywhere. Eric, glad you dug it. Maybe a second viewing will bring up your rating a notch. I really need to see Pleasantville again. I remember loving it when it was released, but I haven’t seen it since. Thanks Dave. I think my rating could easily go up with another viewing, as I really enjoyed the film as a whole. You are absolutely right about this movie having more layers than I could have imagined. I figured this would be a pretty basic film based on its concept, but I was very pleased with how it dug deeper than anticipated. Great stuff. 3 comments aside from mine so far. Love, Love and Adore. Carrey can be hit or miss with his dramatic roles. As much as I love “The Majestic,” there are times that I cannot get past thinking that Jim Carrey is “acting.” But when he is on, he is really on. I recently read a review that compared parts of “The Hunger Games” to “The Truman Show.” After watching the movie, I got it. Hi notes, thanks for stopping by! I haven’t seen The Majestic, but Carrey was in top form in this movie. He definitely has the talent when he chooses to use it. That’s an interesting comparison regarding the Hunger Games. Never thought about that one, but yeah, it does make sense. Jim Carrey showed he could take on more serious roles with this flick. Good but not great flick, as you rated it, it has a nice cast and the story is touching enough and it sort of foreshadowed the explosion in popularity of reality shows. Sounds like we are in agreement, Castor. This is a very good movie that is perhaps even more interesting today, thanks to reality TV. This is a perfect satire. Sometimes you don’t know whether to laugh or cry. It’s my favorite Jim Carey role ever, I wish he’d do more roles like this instead of the stupid slapstick stuff. 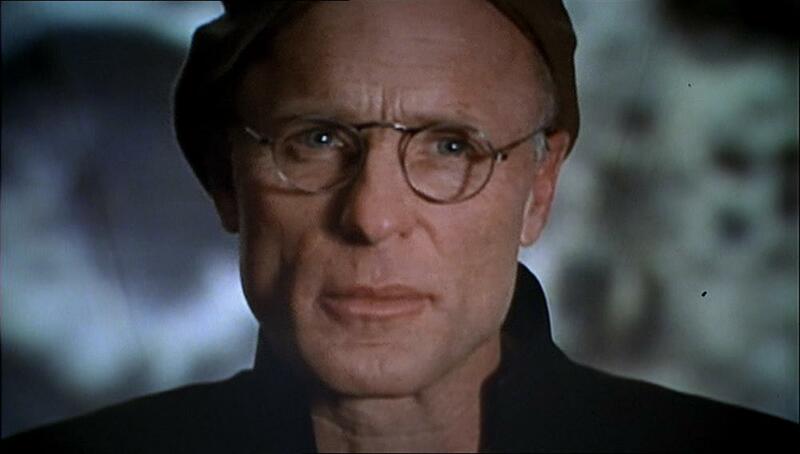 And Ed Harris is always a winner. Glad you finally saw this Eric. Well said, Ruth. Jim Carrey really was terrific in this. Jim Carey is only better in Eternal Sunshine. He’s incredible here. Great review for quite memorable movie – Carrey delivered really strong performance here, as did Harris, Linney and lovely McElhone. The ending to this movie is really brilliant. Thanks Sati. I loved the cast in this movie, and it was great to see Natasha McElhone since I was only familiar with her work in Californication. You should check out Solaris, I tihnk it’s her best performance and also a beautiful film. Will do, thanks for the rec! One of my favorite movies. It’s an amazingly intelligent script that is so prevalent today. Also happens to be one of Jim Carrey’s best performances. Too bad he doesn’t do more drama. Yeah, I was really pleased with how well this movie holds up today. Definitely some foreshadowing with all of the reality TV garbage on the airwaves these days.